The most magical time of the year is approaching, and we all know what that means: decorating the Christmas tree, holiday parties, gift exchanges, eggnog for some and hot apple cider for others, horse-drawn wagon rides and sled-dog tours! Right now is the perfect time to start planning a pre-holiday getaway with your family. Kick off the holiday season with a few days of time spent together on some of the most memorable holiday traditions. These activities are things you can do just once... but we think it's pretty likely you will want to repeat them for years to come. What better way to get in the holiday spirit than to head out as a family, and work together to find and cut the perfect Christmas tree for your home? It’s time for the holidays in the mountains! 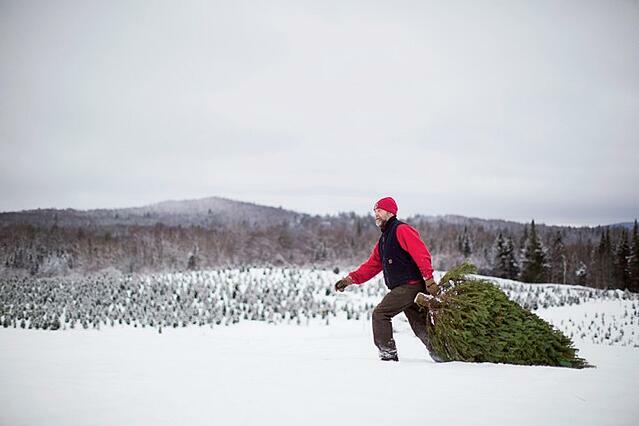 We invite you to join us in the White Mountains for one of the best pre-holiday getaway family traditions you could ask for: Cut Your Own Christmas Tree at the Rocks Estate in Bethlehem, NH. Rather than heading to a tree sale in a paved lot to choose one of the many already cut and hauled out of the woods, set aside the afternoon to walk through a tree farm in the mountains to admire all the evergreens and find the very right one for you and your family. This is not just about cutting a tree to mount on your car and decorate at home- it's about walking through the woods, getting snow on your boots, giving the kids some exercise and fresh air, and choosing the Christmas tree that will adorn your living room for the next few months together! The Rocks Estate is a 1,400-acre property providing conservation education and nature walks year-round through both structured and self-guided tours, as well as the ever-popular Christmas Tree Farm every year from early November through Christmas Eve. The Christmas Tree Farm at the Rocks Estate allows you to walk at your leisure through the tree plantation to choose and cut your own Christmas tree out of 45,000 harvested each year for the holidays. 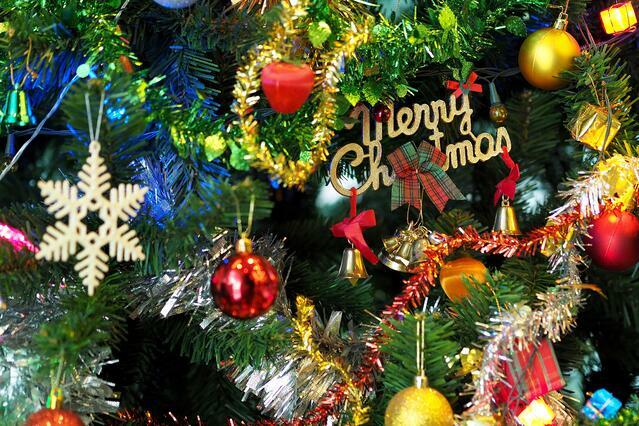 The Rocks Estate has been growing Christmas trees for more than 35 years! Each tree is tended for 10-14 years, hand-pruned each summer, before they are ready for harvesting. There is always plenty of courteous service in case patrons are unable to cut or transport their own trees. The Rocks Estate staff will also wrap and mount your tree on your vehicle if desired. After choosing your family’s Christmas tree, take a walk along the Scrapbook Memory Trail, an easy 0.8-mile trail that passes the Tea House and Formal Gardens, the Carriage Barn, and the Tool Shed, with a winter stop to roast marshmallows at the fire pit. Enjoy the mountain views, read about the history of the Rocks Estate, and pose for this year’s Family Holiday Card photo! Peruse the variety of uniquely decorated Christmas wreaths at the specialty gift shop. Set aside a half-hour to peruse the gift shop, especially if you are still looking for some unique gifts for loved ones on your list! The Christmas Tree Farm at the Rocks Estate is open daily for Cut Your Own Christmas Trees from the weekend before Thanksgiving to December 24 (closed Thanksgiving) from 10 AM to 4 PM. 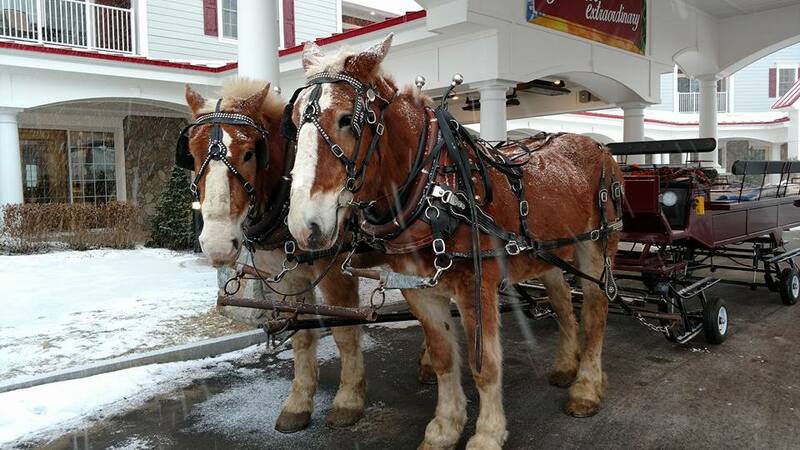 Head to Ice Castles to reserve your horse-drawn sleigh ride! For all of us who have heard and sang the holiday classic song, “Jingle Bells,” how many of us have actually experienced the cozy fun of riding in a “one-horse open sleigh?” Get your family in on the action of a Norman Rockwell-like holiday experience in the back of a two-horse open wagon. 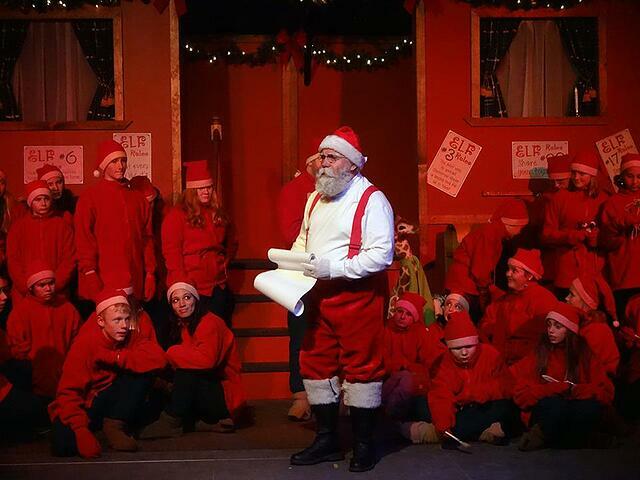 Take the family on a magical adventure on the Polar Express (in other times of year known as the Hobo Express in Lincoln, NH)! This is a great holiday activity especially for families with young children. 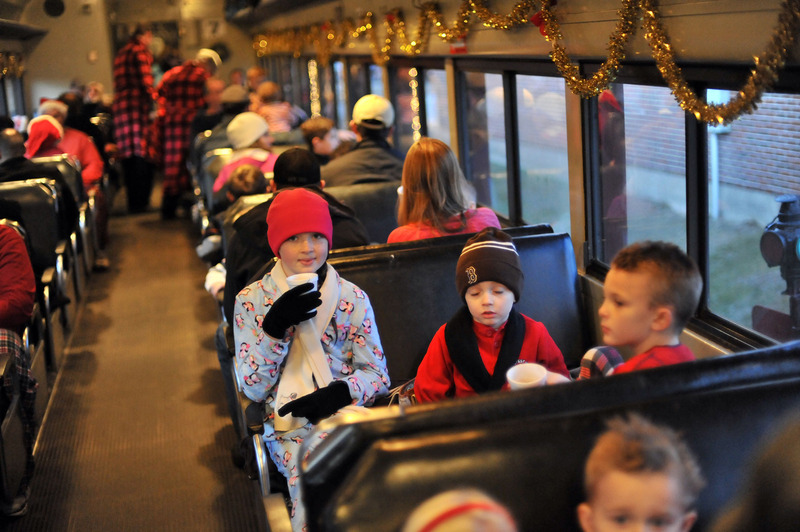 “The Journey to the North Pole” is a 2-hour round trip train ride that departs on at 4:30 pm and 7:00 pm on these dates. Enjoy hot chocolate, mingle with Santa’s helpers the Elves, watch a very special live performance of “The Night Before Christmas,” meet the man in red himself, and watch the kids open a special gift for each on the return trip! Ticket prices are $47 to $67 per person. Proceeds from “The Journey to the North Pole” fund children’s literacy programs operated by The Believe in Books Literacy Foundation, a 501©3 non-profit organization. Tickets go on sale to the public on October 12, but interested parties can register now for Preferred Pre-Sale access codes to get first pick! 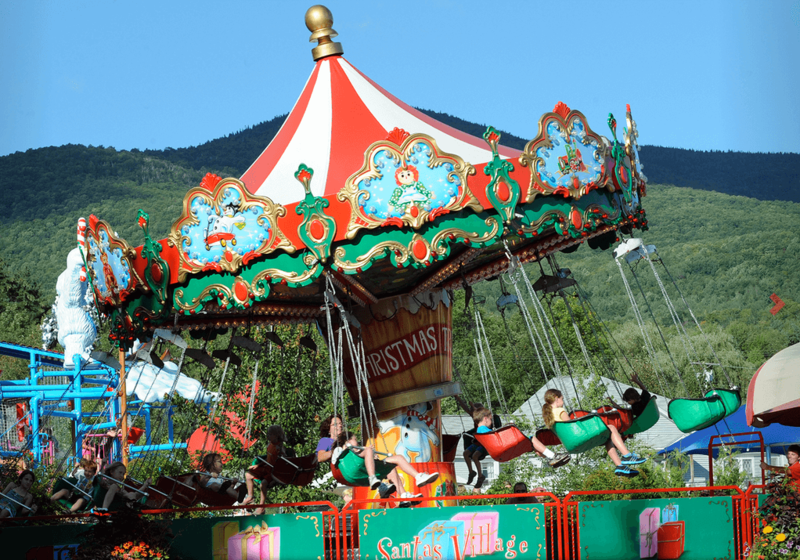 Santa’s Village in Jefferson, NH reopens on the weekends from November 18 to December 17. This holiday-themed family-friendly amusement park is a great option for those with young’uns (or those young at heart) in the weeks leading up to the Christmas season. Admission is $33 per person, and free for kids 3 and under. Ride with the Sled Dogs for a Family Adventure like No Other! Now this one might be a bit off the usual list of family holiday activities… but for families looking for adventure (with older children), this is a once-in-a-lifetime option! Valley Snow Dogz out of Benton’s Sugar Shack in Thornton offer sled dog tours starting each fall and running throughout the winter. 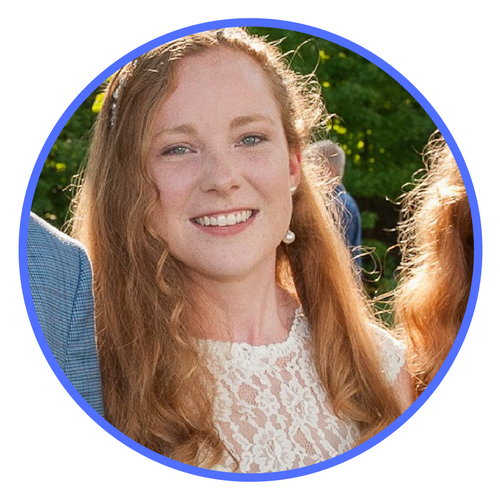 A variety of tours are offered at different price and duration levels, from a 30-minute adrenaline-pulsing nighttime ride under the stars, to a 1-hour traditional sled scenic tour, to the 4-hour Full Monty Winter experience around Waterville Valley or even around Squam Lake depending on weather conditions. The stars of Valley Snow Dogz are family pets with a lot of personality and a variety of interests! Check out and admire all their incredible sled dogs on the website. Valley Snow Dogz is a family-run organization of sled-dog athletes and educators who have been mushing, training and touring for more than 20 years. Adventure-seekers could hardly look for a better option for a unique, family-friendly, winter outdoors experience in the White Mountains. We look forward to this time of year to spend with our own families, but also to welcome you and yours to the most beautiful place on Earth with some of the best family adventures to create holiday memories and (we hope) traditions for years to come.